What would that query look like? The query selects the max row number (col1) (per name (group by Col4)). these row numbers (returned by the query) are 'looked' up in the same 'virtual' array (see above) and on match, columns 2, 3 and 4 are returned. 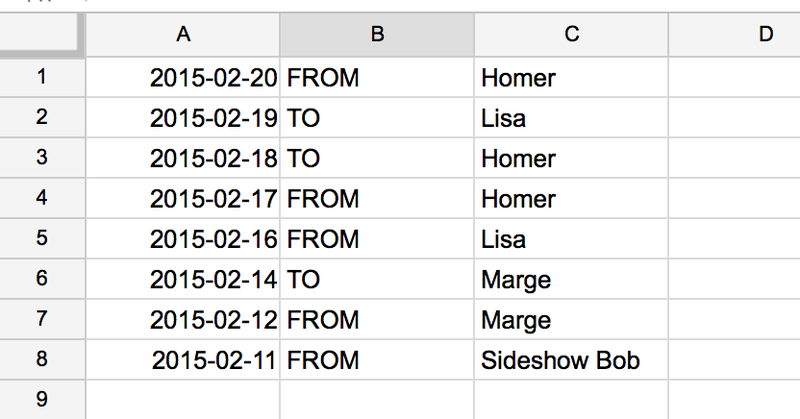 How to show the ten most recent rows from another sheet's timestamp? How do I generate unique identifiers for responses from multiple forms, linked to a single Google spreadsheet?